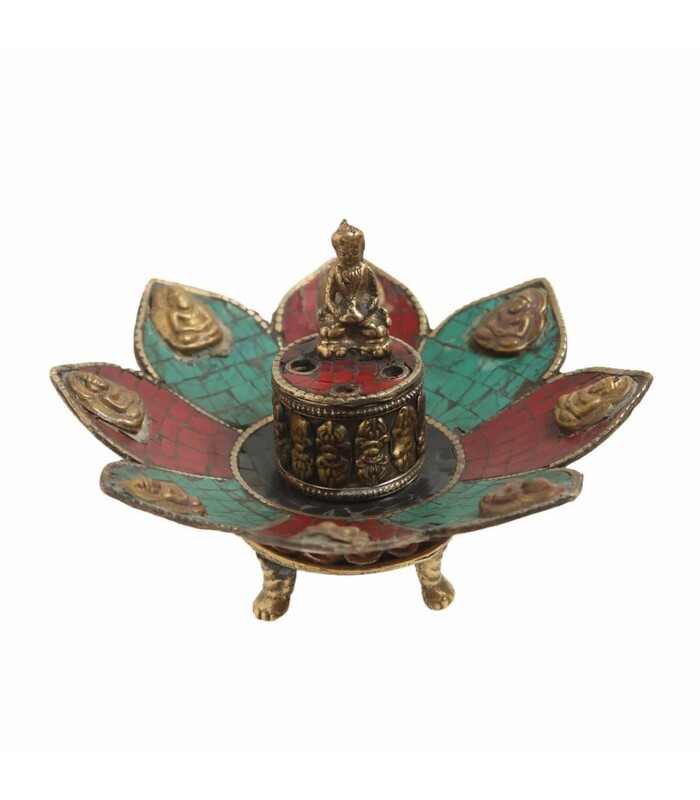 This blooming lotus and meditating Buddha table décor can be used as incense stick holder. 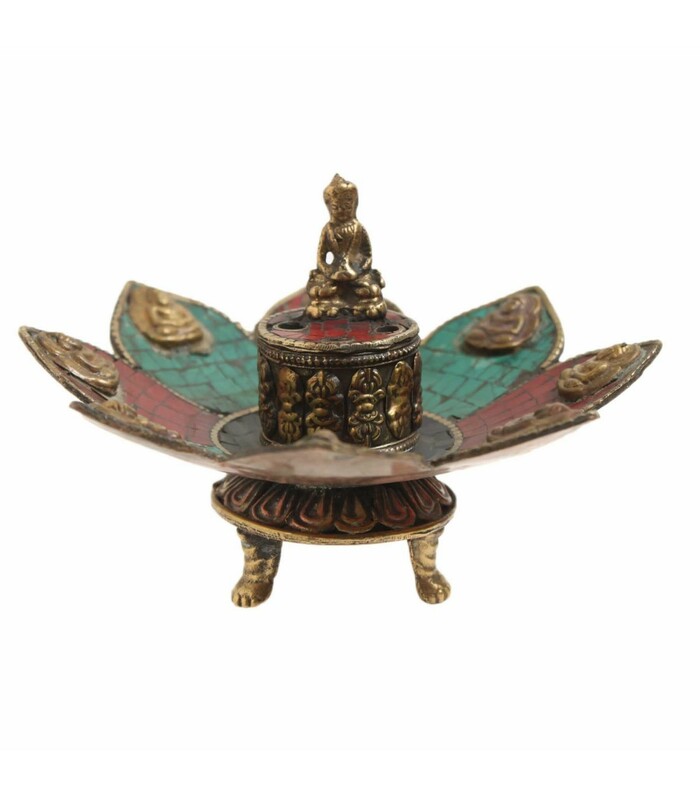 The lid where Buddha is resting can be opened to clean. 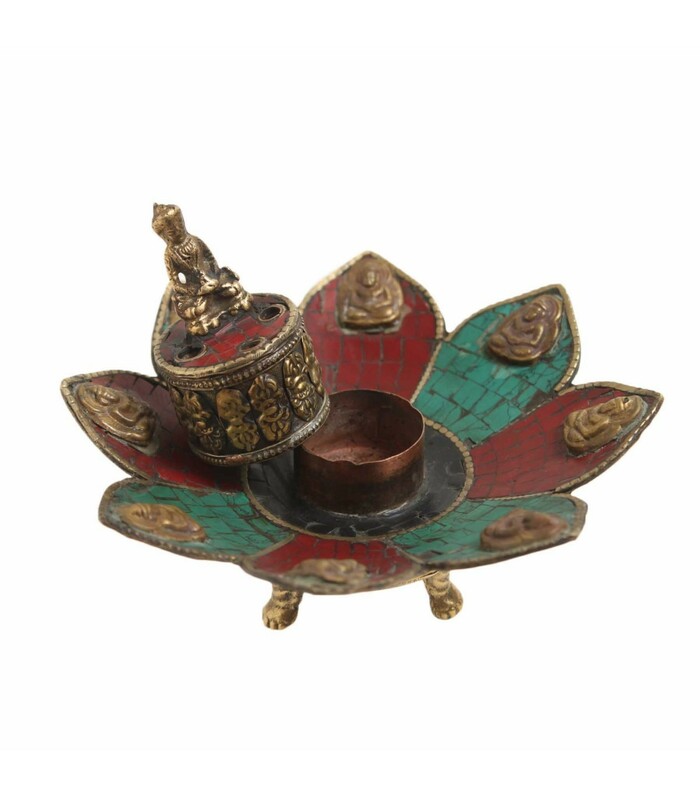 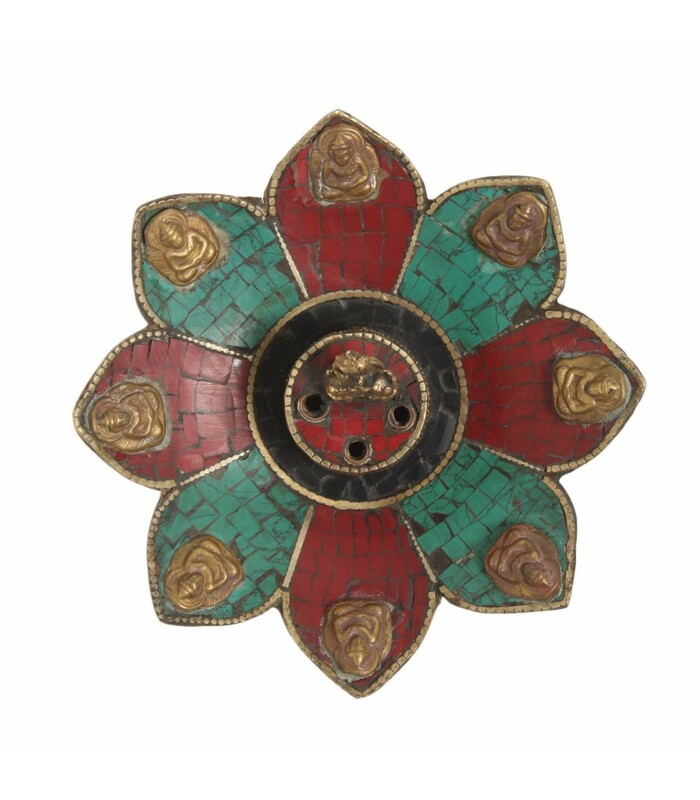 It is crafted with red and turquoise resin stones.